You have the right to own more than one retirement account to plan for your future. It can seem complicated when you want to move funds from one account to the other. 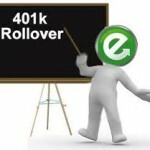 It is normal to have questions about how or why rollover a 401(k) to an IRA. 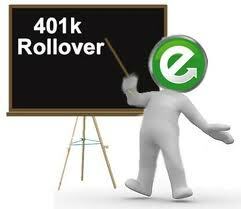 Being aware of how a rollover will help you can give you the information that you need to expand your investments. Your 401(k) account gives you the freedom of larger annual contributions, but the investments that can be made with the contributed funds have higher fees attached. There are certain restrictions about what you can invest in and what you cannot. You have little control over the fine details of how your 401(k) account can be invested. All contributions that you make are pretax dollars. This means that taking out a qualified distribution will have taxes charged to it. The current tax rate that you have now could change when you make 401(k) distributions. This can increase your taxation rate and severely reduce your income. Since your 401(k) is tied to your current employer, leaving your employer will require you to take out the money from your account or move it to another qualifying account within 60 days. Agreeing to receive a check when you leave your employer results in a penalty fee that equals your current tax rate plus any distribution fees. If you are in a 35 percent tax bracket, this could greatly reduce your retirement funds. One of the greatest advantages to opening an IRA is the tax-free growth that your account is eligible to receive. Since you pay the initial tax on a rollover, all future income that is generated from your IRA is not taxed upon taking a qualified distribution. Depending on which IRA you select, you could avoid mandatory distribution requirements at age 70½. This gives you the opportunity to make your own decisions about what to do with the funds sitting in your account. Many investors enjoy the freedom of investment control that is offered with IRA accounts. The purchase of your first home can be taken from an IRA account at the lifetime maximum rate of $10,000 with no penalties or taxes assessed. This could help you get started with owning real estate as an investor.